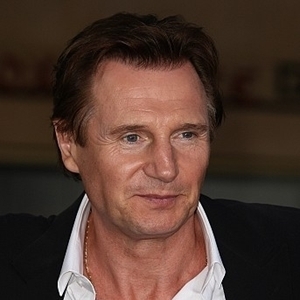 Despite his age, Liam Neeson has carved out a nice career for himself as an action star in recent years. The "Taken" movies, as well as "The Grey," have shown that the former Oscar nominee can keep up with the likes of Taylor Kitsch ("Battleship") and Gerard Butler ("Olympus Has Fallen") when it comes to heave-hitting action movies. His recent effort, the aptly titled "Non-Stop," is yet another testament to the actor's work ethic. Directed by Jaume Collet-Serra ("Unknown," "Orphan"), Neeson plays Bill Marks, an air marshal on a transatlantic flight who must find a killer onboard the plane after a series of text messages are sent to him. The passengers are at risk of being killed if the airline doesn't complete a transfer of $150 million to an off-shore bank account before the plane lands. The action-packed adventure also stars Julianne Moore ("The Kids Are All Right") and Scoot McNairy ("12 Years A Slave"). Taking the movie's rating from the Motion Picture Association of America into account, as a dad, you should think twice about letting your children see the movie if they're under the age of 12. While PG-13 movies tend to be lenient on action, they can still frighten young audiences. There's a lot of violent scenes with gunfire and hand-to-hand combat, and dead bodies are shown in some grotesque positions. Along with the numerous instances of violence, "Non-Stop" also features some strong language throughout the film. The F-word is said audibly, and part of the word appears in a text message. There's also some minor sensuality and references to drugs, but not enough to warrant serious consideration. The intensity of the film's action sequences might be enough to make this movie inappropriate for children. As the marshal tries to figure out the identity of the killer, there's a high level of stress that could scare younger audiences. Overall, "Non-Stop" is a good action-adventure film that can be entertaining but a bit overly violent for some viewers. It's also worth mentioning that 9/11 serves as a backdrop for the film, so you may deal with some heavy-hitting questions about that powerful event in American history. Much like other films on the fatherhood fence, you should use your own judgment to determine if your kids can handle seeing it.